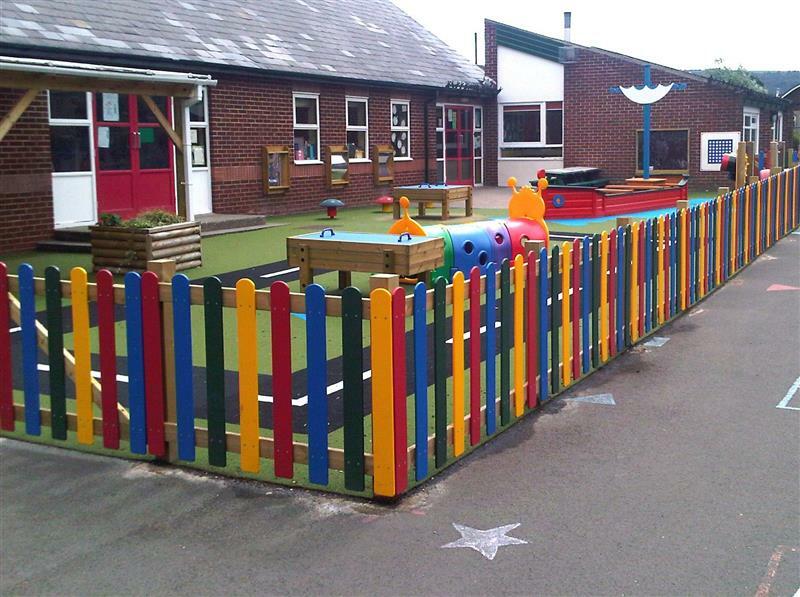 Create specific learning and playground zones with our aesthetically pleasing, colourful and durable HDPE (High-Density Polyethylene) Bowtop Playground Fencing. Giving your school a bright and colourful boarder will only enhance your school's appearance and vibrant environment further. The design of our fencing enables its used fro multiple playground zoning, for instance, separating an EYFS learning zone from a Key Stage One zone or separating a quieter area for natural play from an active play space for physical development. 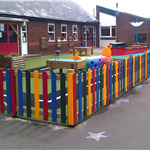 Our fencing is at a height of 900mm providing a safe and enclosed area for children to play within. By adding a lockable bowtop HDPE fenced gate, free-flow access between learning zones has never been so seamless.